Consistently completing projects on time and on budget and ensuring owner satisfaction from inception to completion has situated Integrated Construction LLC (Integrated) among some of Florida’s top general contractors. The Jacksonville based contractor has been pulling in the accolades as of late, named No. 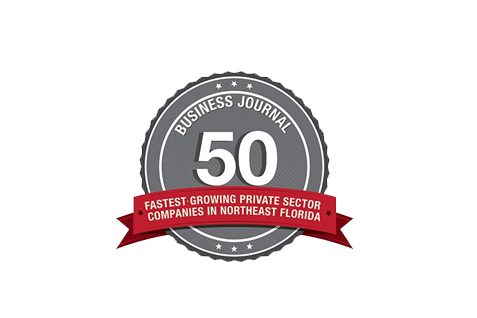 8 by the Jacksonville Business Journal in regards to Fastest Growing Private sector Company in Northeast Florida. 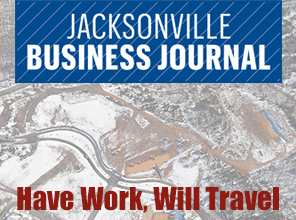 Furthermore the Jacksonville Business Journal also dubbed Integrated as one of its Top 25 General Contractors. Integrated also landed a spot in the Florida Business Journal’s Top 100 Fastest Growing Companies about a year ago, reveals Todd Zona, co-owner and COO of Integrated. Surprisingly, Todd says the majority of Integrated’s recent projects have been outside of the Sunshine State. We just opened an office in Roanoke, Va., and we have a satellite site in North Carolina, he details. We’ve been in those states and also mainly South Carolina and Ohio. We haven’t been working steadily in Florida for five years or so now, because the market has been flat. Gregg credits executive experience to the company’s success. We’ve been doing it a long time, he says. However, Gregg also mentions that the company would be nowhere without the help of a trusted, longstanding workforce. Most of our people have worked together in the senior market for 15 to 20 years as the result of integration from previous employers, he continues. Integrated currently has 25 employees from executives to field superintendents to project managers and office personnel. The same level of cohesive collaboration is also expected of Integrated’s longstanding subcontractors. We’re strictly a general contractor-construction manager, explains Todd. We don’t self-perform any trades. We don’t like to use more than two or three new subcontractors on any project, because we have trusted ones that have been with us for many years. 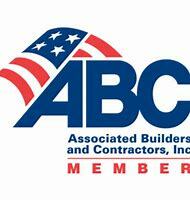 Our subcontractors and vendors have been following Integrated for the past seven years all over the Southeast. Most of those subcontractors followed both Todd and Gregg for over 15 years prior to Integrated. Collectively, Integrated’s owners and employees have managed more than 100 projects in 19 states, with total construction to date exceeding $1.5 billion. 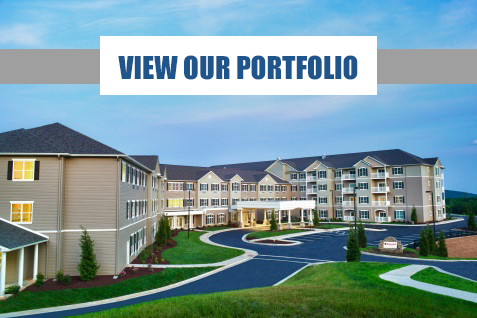 The company serves clients from the Southeast to the Mid-Atlantic in the senior living, multifamily, retail, commercial and more recently, hospitality markets. We work mainly from Maryland to Texas up and down the coast; Tennessee and Kentucky is about as far inland as we’ve been so far, details Todd. The company is licensed in 10 states, including Alabama, Georgia, Louisiana and West Virginia. Fittingly, Integrated offers a full spectrum of construction and consulting services, from pre-construction to closing. Our pre-construction services include, but are not limited to, site evaluation, constructability reviews, conceptual cost estimating at various phases of design, preliminary and master scheduling, selection of the best building systems for a particular project, cost-saving analysis, value engineering and early bid packaging and phasing, Gregg lists proudly. Integrated excels in expert construction management, working in conjunction with the owner and design team, as well as hands-on field management. In terms of construction management we offer project estimating and pricing, project safety, schedules and timelines, operations and sequencing, timely procurement of materials, managing owner scope changes and subcontractor coordination, notes Todd. The company also focuses on design-build delivery. Design-build can be an excellent approach to collaboration of the design and builder and provide the client with a single source of accountability, explains Todd. It also helps eliminate costly change orders via a guaranteed maximum price, early mobilization and achieving designed results in a more condensed time frame. Integrated’s precise project management and delivery methods have been of great benefit to customers in the senior living market. Over the course of its history, the company has carved a particular niche in this market. For many customers we do a very similar style building and that’s how it’s been done for 30 years, but we’re seeing more high-end markets and private-pay facilities where the building model is completely different and open to all kinds of different design changes, tells Gregg. The sky is the limit in the independent and assisted-living market, as well. In Lynchburg, Va., Integrated recently completed a 165,000-square-foot, four-story independent living facility adjacent to a single-story Alzheimer’s care building. This was a monster mixed-used project, expands Gregg. From December 2012 until just a few months ago we completed 173 patient beds, 101 IL units, 48 AL units and 24 ALZ units. Also in Virginia, Integrated completed the Sterling Nursing and Rehabilitation (Sterling) facility in May 2014. This two-story replacement included a 156-bed skilled nursing facility extending about 76,000 square feet, notes Todd. This project consumed 14 months from concept to completion. Right outside of Washington, D.C., this was a tough working area. To add another challenge, but an interesting twist, Sterling was situated on top of what was thought to be part of the Underground Railroad route. The site historians claimed that the Underground Railroad ran through the site, so we took extra measures to preserve foundations, fireplaces, chimneys and we even took some of the old logs from the cabin and incorporated them into the senior facility, details Todd. We basically built the facility around the remnants, but it made for a really interesting job. Outside Integrated’s senior living niche, the company is also building relationships with national hospitality names. Last year we completed the Chesapeake Value Place Hotel and we have more Value Place Hotels coming up around the country, shares Todd. From design to completion these projects are quick; only lasting about seven months, normally four stories and 40,000-square-foot, wood-framed buildings with about 120 rooms. Integrated is gearing up for more corporate Value Place locations, as well as franchisees. Luckily, our subcontractors are willing to travel with us and that’s important when you only have seven months to complete a job, says Gregg. You can’t afford mistakes. According to Gregg, it’s this kind of repeat relationship that has given Integrated a solid foundation to grow through the recession. We have 20- to 30-yearlong relationships to stand on, he says. Clients want us to build their buildings and subs like working with us, because they know they will be paid quickly. We help them and they help us; that’s how it goes. After all, clients say it best: The team at Integrated consistently delivers projects within budget and ahead of schedule, assures Charles Trefzger, CEO of Age Mark Inc., a health care management company specializing in the long-term care industry. We can count on them to add value to the operational efficiency and quality of each project. We can count on them. Those are a few words that say a lot about the way Integrated does business. For reliable, professional construction management and general contracting, clients throughout the Mid-Atlantic and Southeast continue to call on Integrated Construction LLC. This article originally appeared on USBuildersReview.com. Read the full article HERE. The owners of Integrated Construction, CEO Gregg Munn and Chief Operating Officer Todd Zona, worked together at The Haskell Co. since 1996. They worked on senior living projects for Haskell, Munn as project director and Zona as director of construction. But after Haskell got out of senior living – “A lot of the senior living stuff’s wood frame and they’re not; they’re concrete and steel,” Zona said – Munn and Zona went out on their own and founded Integrated Construction in 2007. In 2012, Integrated Construction got into hotels as well as senior living, which remains the core business, and is now building hotels for Value Place. This is an excerpt from the Jacksonville Business Journal. View the full, original article HERE.